Brazilian President, Luiz Inácio Lula da Silva, and his US counterpart, George Bush, agreed on March 31 to explore cooperation in combating disease in African countries, building on their cooperation on HIV/AIDS in Mozambique and Angola. The partnership will concentrate on fighting malaria, tuberculosis and neglected diseases in Portuguese-speaking countries such as Angola and Mozambique. During the visit by president Lula to Camp David – the US president's mountain retreat in the state of Maryland – the presidents also agreed to confront the threat of avian flu. In addition, they announced a specific commitment to cooperate on a plan to eradicate malaria in the islands of São Tomé and Prí­ncipe, off the coast of West Africa. At the meeting, the presidents renewed a memorandum of understanding for education between the countries. As an example of action in education, they applauded the immediate start-up of a program targeting increased professional and technological education in Brazil and bilateral exchange in an effort to include increasing numbers of young people and adults in the labor market. The presidents reaffirmed their intention to use their ongoing "commercial dialogue" to seek ways to promote innovation and increase trade opportunities between the countries, particularly for small and medium-sized enterprises, and protect intellectual property rights. They applauded plans by the United States Council on Competitiveness and the Brazilian Competitiveness Movement to stage an "Innovation Summit" in Brasilia in July 2007 to support greater competitiveness and innovation. The presidents also welcomed the strengthening of the partnership between the two countries in the area of renewable energy with a memorandum of understanding to advance cooperation on biofuels, signed in Brazil last month. They expressed their governments' intention to arrange for Brazilian scientists and researchers to visit state-of-the-art biofuel research laboratories in the United States, as well as visits to Brazil by senior officials of the United States Departments of Energy, State, and Agriculture in Spring 2007. Obviously the comments of ch.c show how much ignorance in relation to other countries and not accepting that other countries can also reach high standards in certain fields of knowledge and technology. We also cannot lead ourselves to believe that high technology means higher standards…there are probably some indigenous tribe in the Amazon, who although dont have any technology might be quite ahead of all of us in moral and ethical standards…. Anyhow, if Mr c.hc believes that a car industry is what measures a countries power, you should start considering that US cars cannot even be exported to China as they dont meet environmental standards and are far back from European cars. We dont have a genuine brazilian car industry, but all car industries are present here (Toyota, Honda, Mercedes, Volkswagen, Fiat, Peugeot, Renault, Ford, GM…)..we are among the 10 largest world manufacturers of cars in the world. We can talk of fuel…Brasil has developed alternative fuels and we run hybrid cars (Ethanol, petrol or natural gÀƒ¡s) all in one !!! Just go to the pump and chooes your fuel…Brasil started Ethanol program around 1979 and today we are the largest world producers…no wonder the USA has great interest in the subject…its the fuel that will substitute petrol. About HIV, probbaly you didnt read in the newspapers some years ago when Brasilian Ministry of Health Mr. Jose Serra and the country were awarded by the United Nations as having the best HIV program in the world. The antivirus cocktail is distrubuted freely to all HIV infected. That is why there is a pressure on the american and european drug industries to mantain the prices in decent levels…oh, I forgot you dont have Universal health care, so you wouldnt know what is free treatment. We can produce the drugs here by breaking the patent, but we respect patents, but cannot accept the enormous profit on drugs…. About environment, why the US didnt sign the Kyoto protocol. Only two countries didnt : The US and Australia !!! You are far the largest polluter in the world and cant find alternative energy sources, but insist in petrol exporation, even in Alaska !!! As to the program in Africa it is sponsored by Brasil as is most of expenses of the UN peace troops in Haiti, leaded by Brasil where there isnt a single US soldier…they are all busy making a mess in Iraq !!! I forgot about aircraft industry, probably you already flew on an EMBRAER jet and dint know it was designed, produced/manufactured in Brasil !! yes, we have the third world aircraft industry !! I think that you should travel more, get some more information on several Internet sites, watch more news on international TVs…good luck ! As to the memorandum of understanding for education between the countries, quite a news too that by now Americans will go to brazil for their education and studies !!!!!!!! 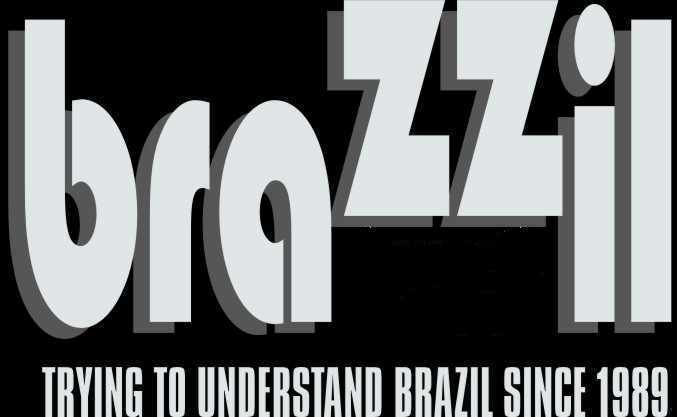 iN MY VIEW, BRAZILIANS ARE MORE AND MORE CRAZY AND MORE AND MORE PRETENTIOUS….. !!!!!! Hopefully your epidemy is endemic !!!!!!! Brazilian cars manufacturers, not a single developed technology that is exported except flip flops and that the HIV drugs are made in Brazil and not in the Usa ! But then they will still expect Americans firms to LOWER THEIR HIV DRUGS PRICES !!!!!! Brazil has really a contradictory common sense !!!!!! And of course…this “joint venture” in Africa will have to be financed by the USA… but certainly not by Brazil…..AS USUAL !!!!! Some Brazilians Are Rooting Against Brazil. It’s All Politics.